Buy your new 2017 Jaguar XE at Jaguar Colorado Springs! This vehicle is built to exceed your expectations. The smooth, stylish exterior lines and impressive technologically-advanced interior show that clearly. The 2017 Jaguar XE comes in four different trim levels – the XE (MSRP $34,900), the XE Premium (MSRP $37,500), the XE Prestige (MSRP $41,400), and the XE R-Sport (MSRP $46,500). Three engine types are available depending on the trim level you choose. They are the 2.0L turbocharged diesel, 2.0L turbocharged, and a 3.0L supercharged V6. Each of these trim levels is equipped with a ZF® 8-speed automatic transmission, Torque Vectoring, Adaptive Surface Response, advanced double wishbone front suspension, and Adaptive Dynamics. The 2017 Jaguar XE can come equipped with some amazing advanced entertainment and safety features! InControl® Touch™ Pro, Meridian™ Surround System, and InControl® Wi-Fi are some of the exciting features. In addition, blind spot monitor, park assist, and so much more are standard or available. Also, the 2017 Jaguar XE lineup is backed by Jaguar EliteCare. This best-in-class coverage includes new vehicle limited warranty, complimentary scheduled maintenance, 24-hour roadside assistance, and Jaguar InControl® Remote & Protect™. Our Jaguar experts can tell you all about the benefits of Jaguar Elite Care. 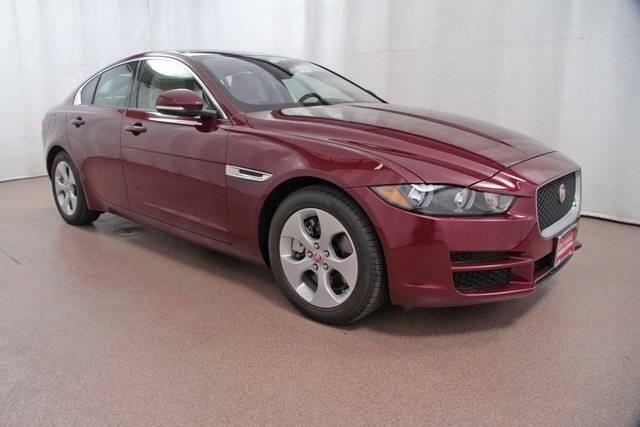 So, stop into Jaguar Colorado Springs today to take a test drive or check out our website to see our selection of the Jaguar XE!